This Book Is For You…. You want a business that feeds your soul and your purse. You want a healthy income without working long hours. 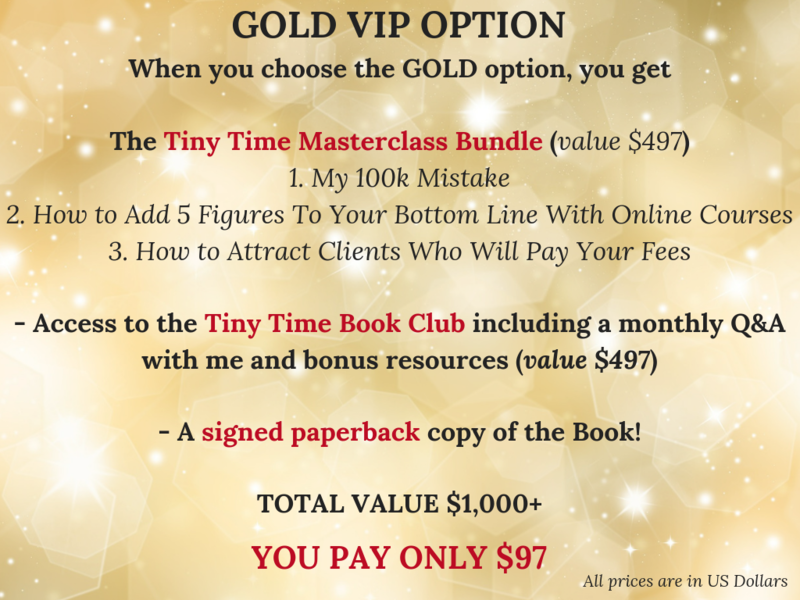 I’m Yasmin Vorajee and in my new book I’ll show you 4 simple principles on how to run your business in tiny pockets of time. 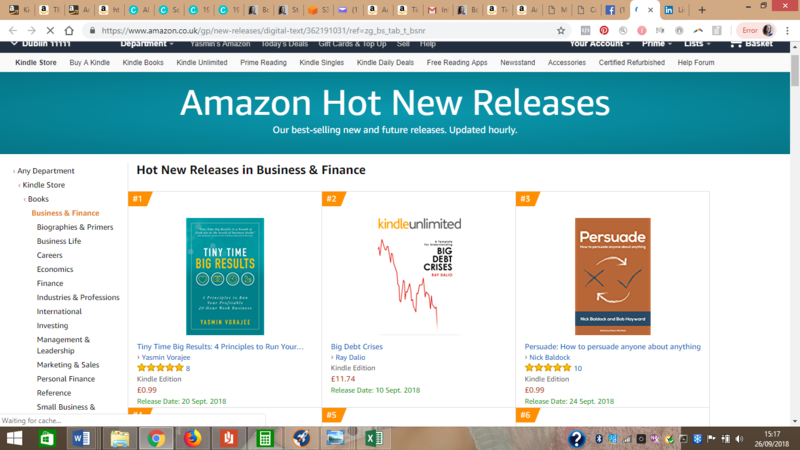 The book is broken down into four main sections and I show you you how to run a business with purpose and heart, a business that makes you great money, ways to make your time pack a punch and how to make time for play. 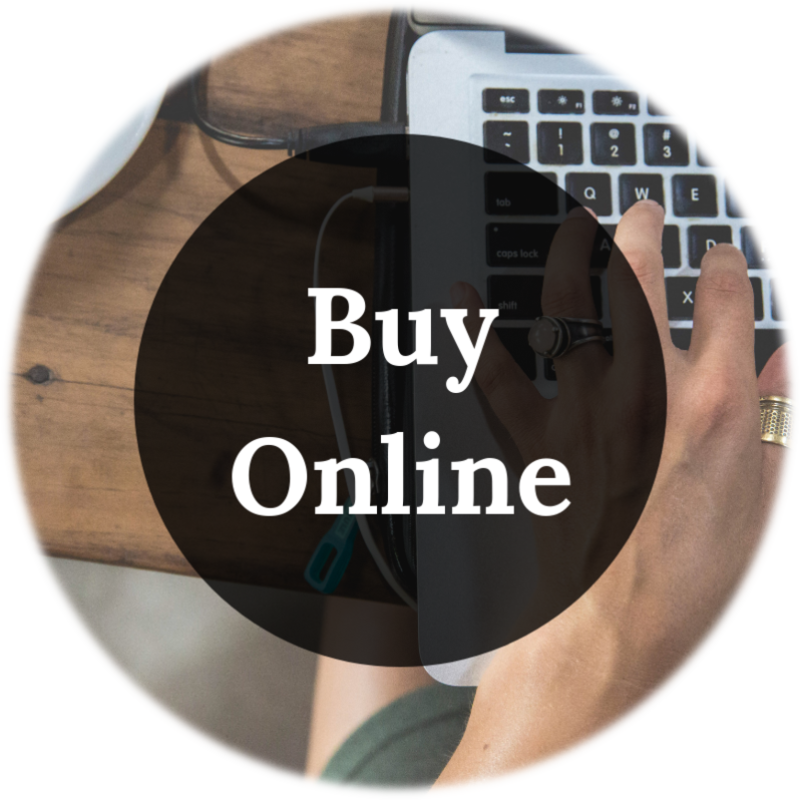 I’ll show you how to nail your marketing message, how to attract clients easily, how to master the sales and conversion process and how to build leverage into all aspects of your business. So you can have a business that works in your tiny pockets of time! It’s the Tiny Time Big Results way! 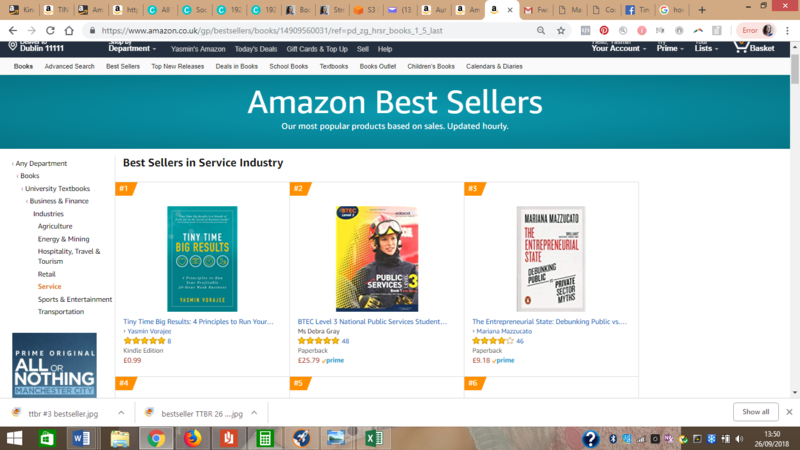 Two Ways to Buy The #1 Bestseller Book! 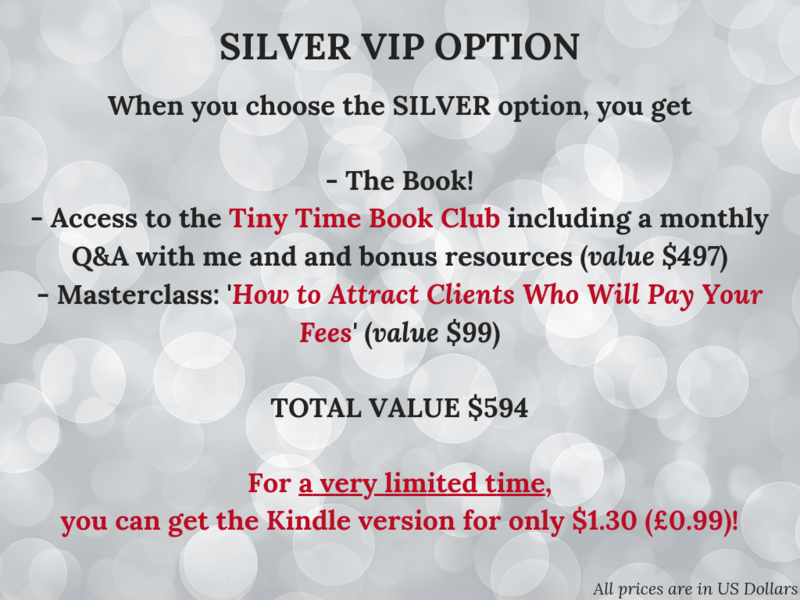 When you buy the book and join the Book Club, you get instant access to bonus resources and gifts worth over $600! When you choose this option, you don’t need to do anything. 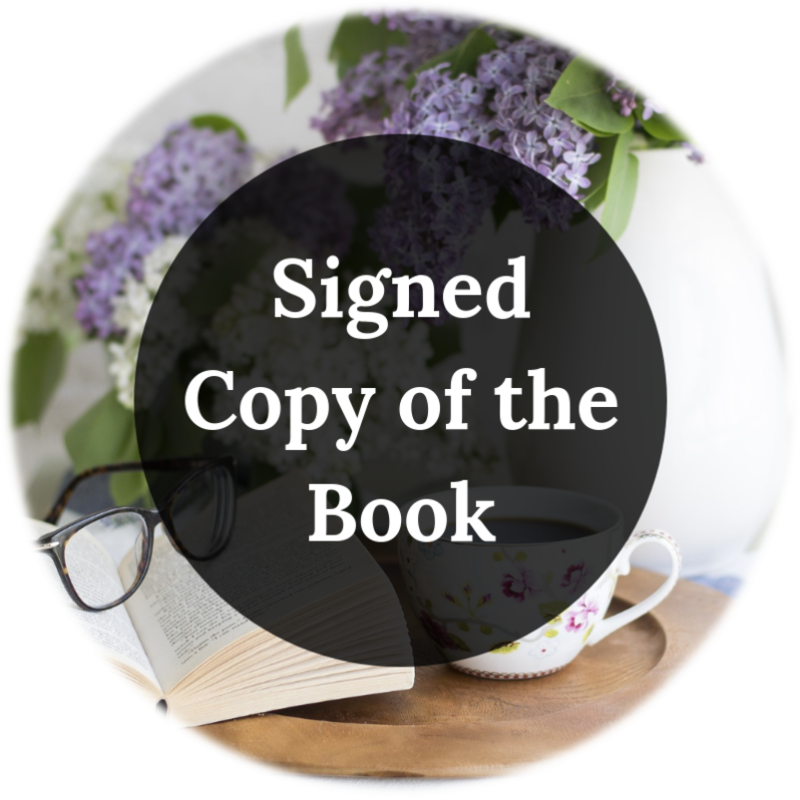 A signed copy of the book will be sent to the address you use for the purchase and you will automatically be added to the Tiny Time Book Club mailing list (this will keep you in the loop so you know when the next Q&A call will be). 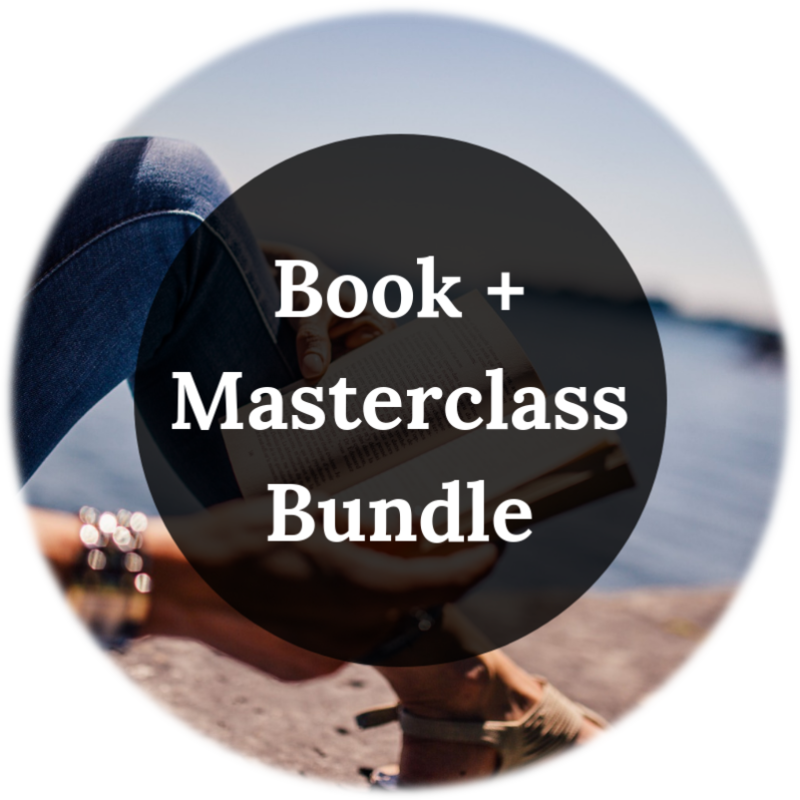 You’ll also be sent a link to access your 4 bonus masterclasses and the link for the free resources you get as part of the Book Club including the workbook and free PDF guides mentioned in the book. You will receive a separate email letting you know more about the Mastermind and how it will work! During the 4 week program, we’ll be looking at how to create a business that feeds your soul and your purse! A signed paperback copy of the Book! 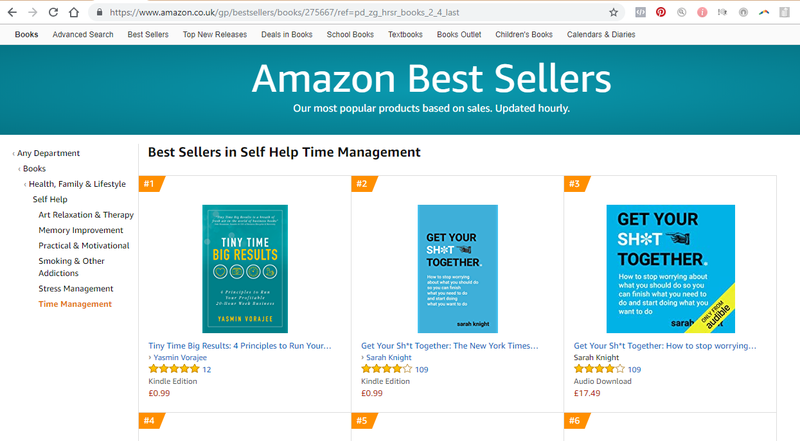 “Tiny Time Big Results is a breath of fresh air in the world of business books, because it shows us once and for all there is another way to build a great business. One where you don’t have to burn the midnight oil and sacrifice your family, your health or your soul. Well done Yasmin! ‘Tiny Time, Big Results’ is the voice, heart & knowledge I need right now. 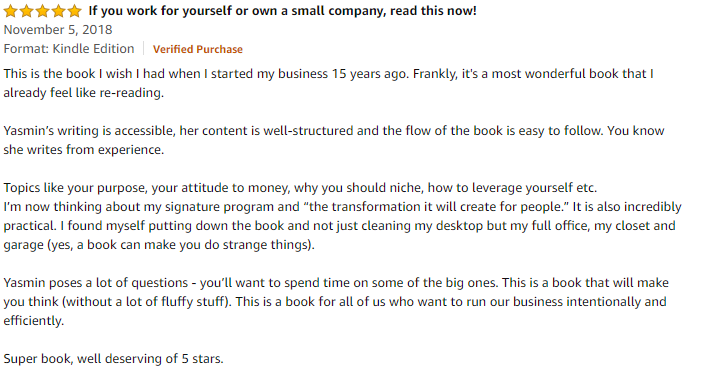 I love how you feel your hand is held throughout the book ensuring your business fits into your values, goals, family and life through Yasmin’s step by step process. Nothing is left unturned in a really gentle way. It’s much needed in today’s society to empower those who want to live a balanced & successful lifestyle as an entrepreneur. It’s my new best friend! It really helped me address the internal chatter I had going on that I thought I was alone in and not only made me feel normal but actually helped me resolve those niggly things I hadn’t noticed were really holding me back. The enthusiasm, simplified problem solving and solutions offered are so effective. Thank you!